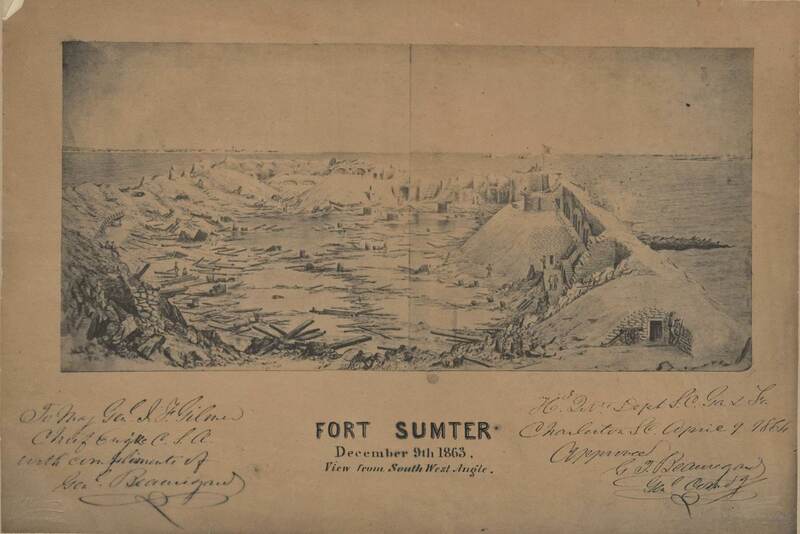 Item description: Printed pictures on board backgrounds, dated 9 December 1863, of Fort Sumter from Gilmer Maps collection. Both drawings were given to Jeremy Francis Gilmer by General G. T. Beauregard. The two images depict a view looking from the south west angle and a view looking from the sea face, respectively. Item citation: From the Jeremy Francis Gilmer Papers #276, Southern Historical Collection, Wilson Library, University of North Carolina at Chapel Hill. 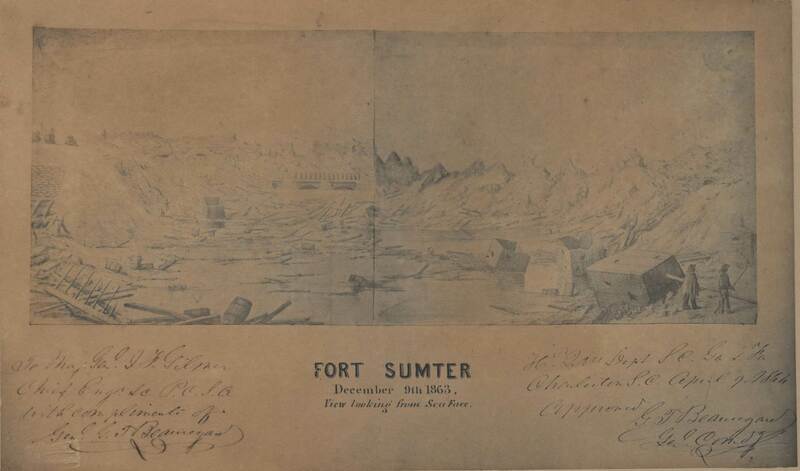 This entry was posted in Southern Historical Collection and tagged Charleston (S.C.), Confederate Navy, Fort Sumter, Gen. P. G. T. Beauregard, Jeremy Francis Gilmer, South Carolina. Bookmark the permalink.